My cousin, Kristopher caught this sky scene as he left work after completing a four months filling in for a co-worker on leave. He did not want to do this job, however his boss informed him the company needed him to do this job. On the last day of the 4 month period as Kris was leaving, he looked to the sky to see this scene. He couldn’t help but feel it was God smiling upon him for doing the job that was asked of him and continuing to let his light shine. I love to see the sun rays beaming up into the sky, like a direct path to heaven. The silver lining of the sun tipping the edges of the dark gray clouds creates a magnificent contrast in value. 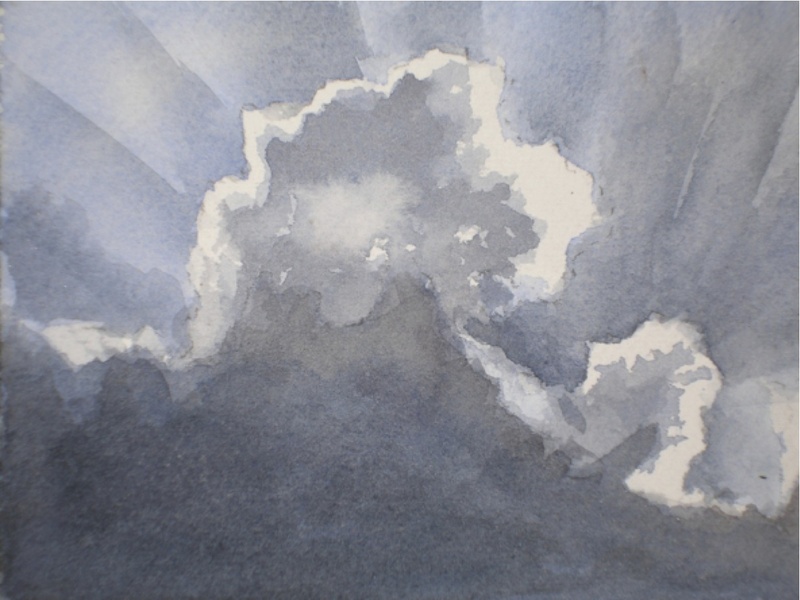 This painting is 3×5 inches on 140 pound cold pressed watercolor paper.